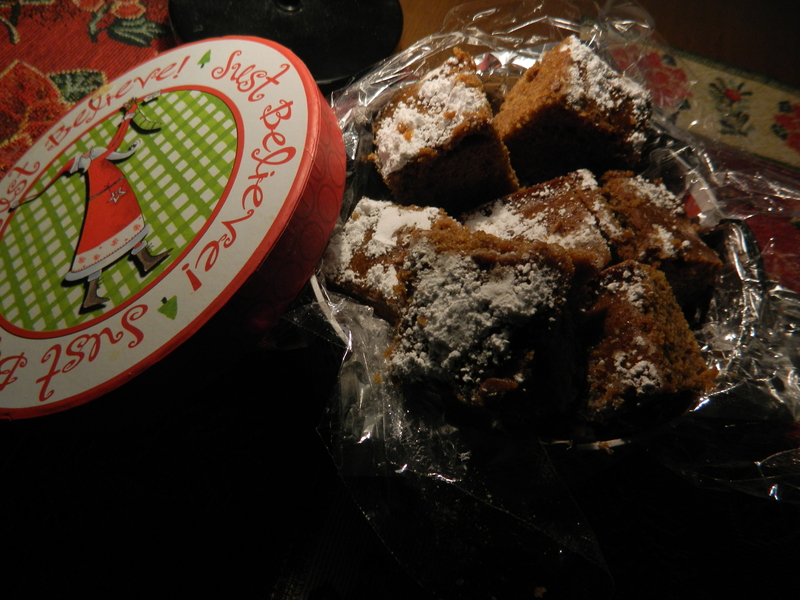 Homemade gingerbread powdered with confectioners sugar. Food is an integral part of Christmas and baking can be a most satisfying aspect of the season. Long hours spent peeling, measuring and mixing are quite worthwhile when the finished product is eagerly anticipated by family and friends. 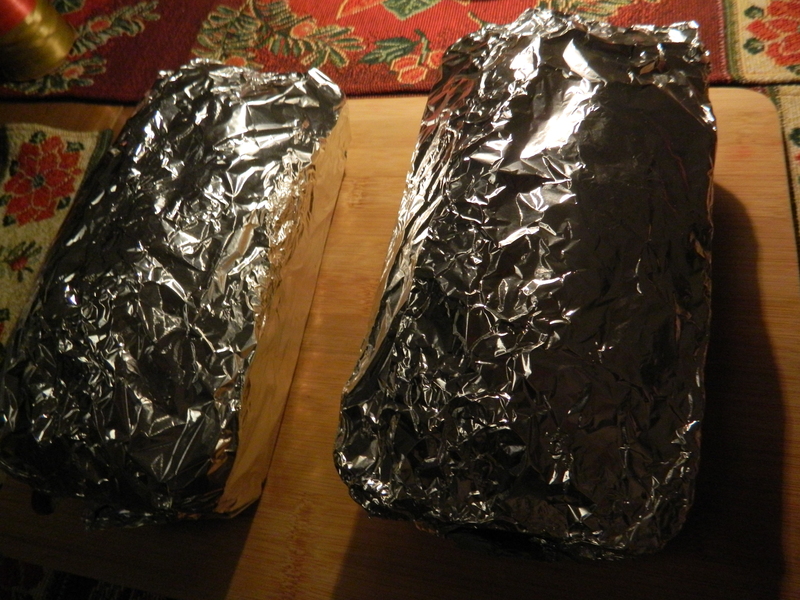 A sight that heralds the holiday for me is loaves of banana bread fresh out of the oven, later wrapped in foil for delivery. 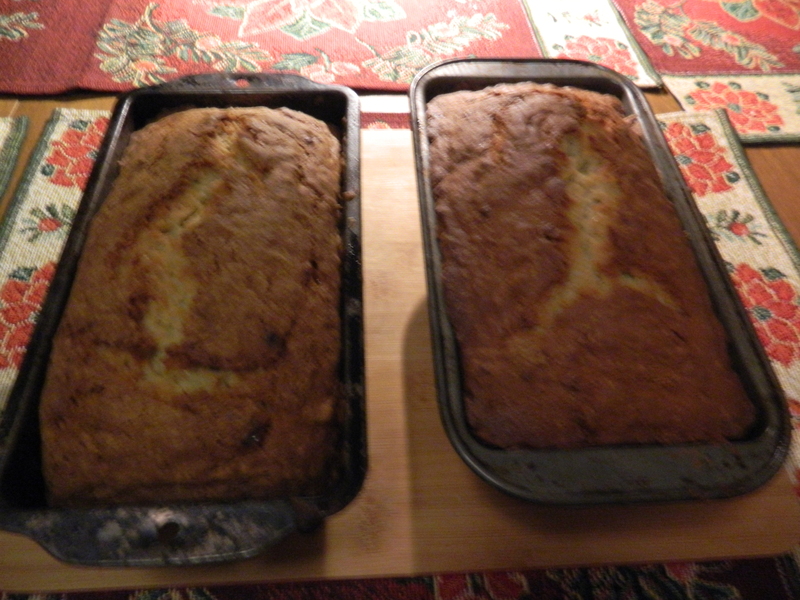 This isn’t just any banana bread, it is a family baking tradition being carried on by my sister Candy made from our mother Cecelia’s recipe which was handed down to her from our grandmother Delia. It is tricky trying to achieve the precise flavor and consistency resulting from this recipe. Done right the taste is beyond compare. 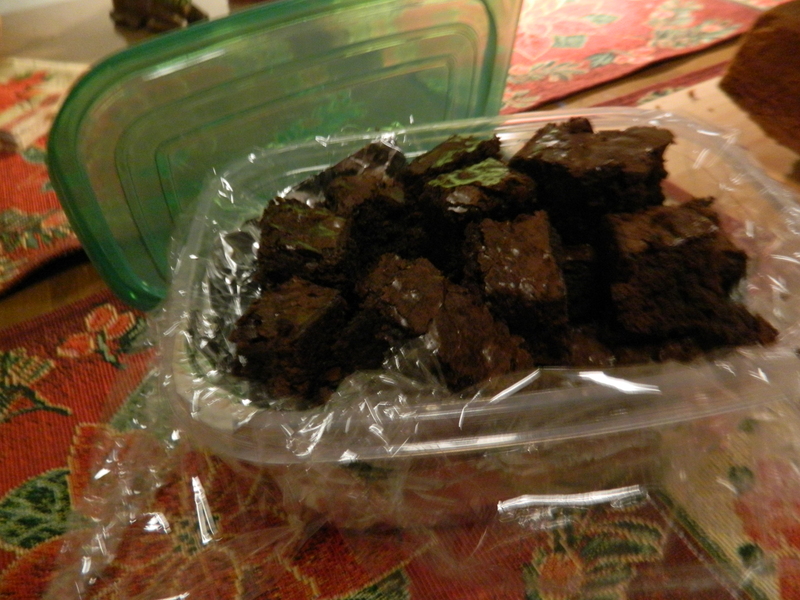 Homemade brownies were always made by my Aunt Emily at Christmas. 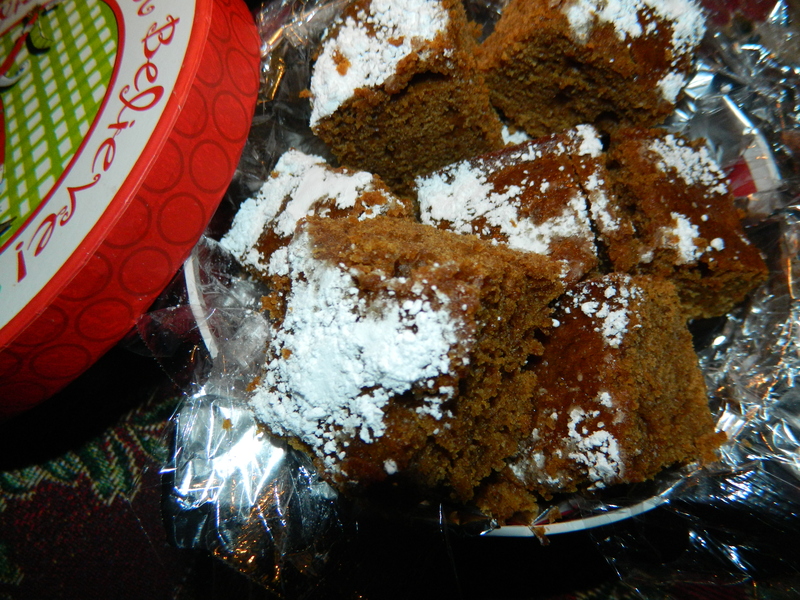 Gingerbread powdered with confectioners sugar was another of my mother’s holiday favorites. This year I decided to try my hand at baking both. Part of the fun of Christmas baking is picking out tins decorated with reindeer, snowmen, and more or other containers that will make for a festive appearance when secured with curling ribbon for carrying to their destinations. 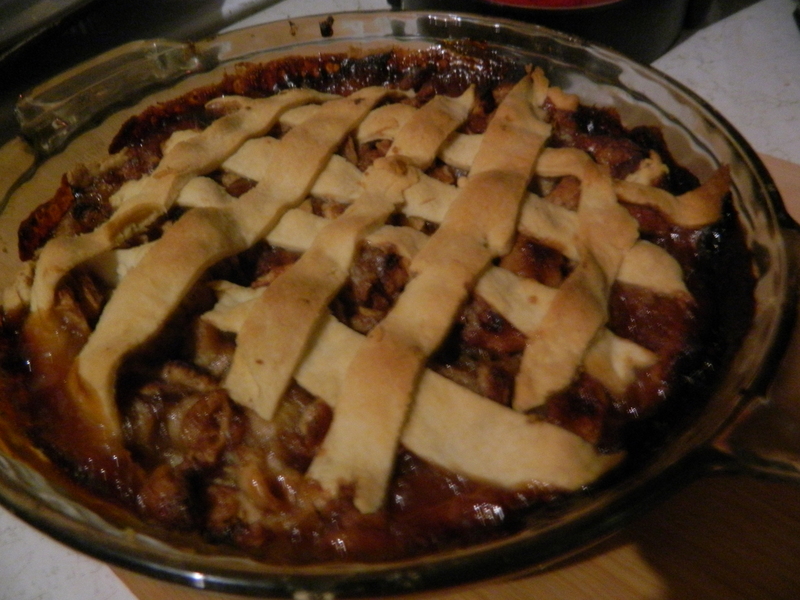 Candy’s lattice crust apple pie. What would an American Christmas holiday be without homemade apple pie. Candy creates beautiful lattice crust apple pies using a Pillsbury recipe: 1 box Pillsbury refrigerated pie crust – 6 cups thinly sliced & peeled six medium apples – three-fourths cup sugar- 2 TBS all-purpose flour – three-fourths tsp ground cinnamon – one eight tsp ground nutmeg – 1 TBS lemon juice – 2 TBS brown sugar – heat oven to 425 degrees F – place pie crust in ungreased 9-inch glass pie plate – press firmly against side and bottom- in large bowl gently mix filling ingredients – spoon into crust-lined pie plate – top with crust and flute sides – bake 40 to 45 minutes or until apples are tender and crust is golden brown – cover edge of crust with 2-3 inch wide strips of foil after the first 15-20 minutes of baking to prevent excessive browning. Cool on cooling rack at least two hours before serving. 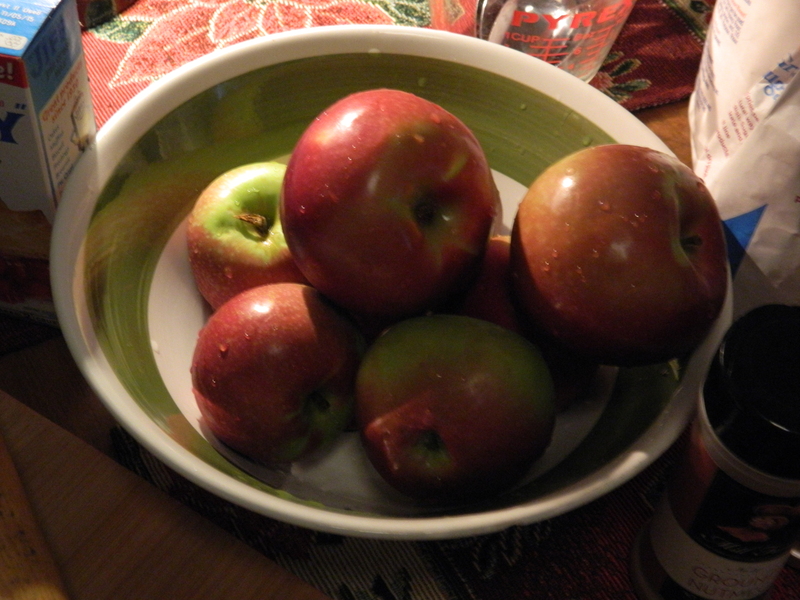 There is one food item that Christmas would be incomplete without; a seemingly simple piece of fruit. 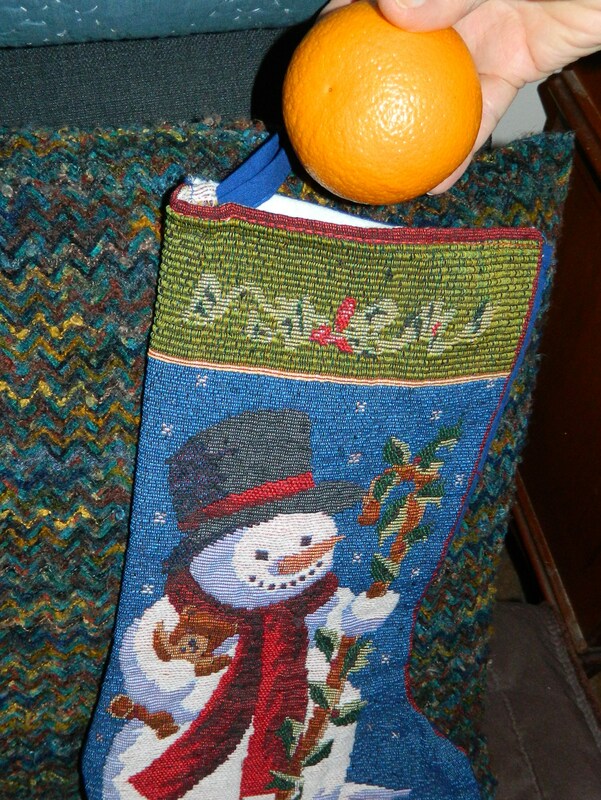 Youngsters have been finding oranges in the bottom of Christmas stockings for as long as most remember. 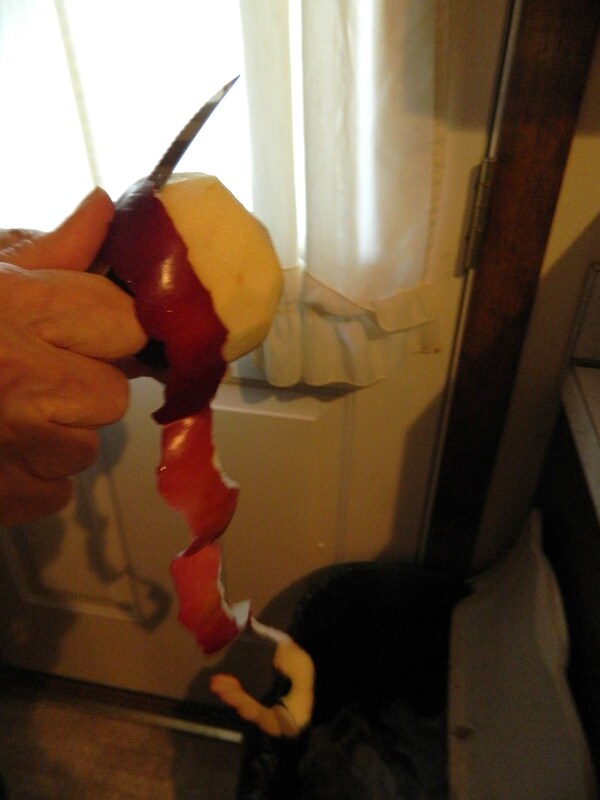 It was a tradition in my family. It is uncertain when and where this popular custom began but it has continued. Some say it began in Europe with St. Nicholas according to thekitchn.com, others trace it back to the Great Depression of the 1930’s when fruit was scarce and truly was a treat; and still others maintain the segments of the orange are meant to represent the sharing of the season. Whatever your traditions culinary or otherwise, Merry Christmas! Categories: Culinary Christmas Trations, Food, Oranges in Stockings - why?